HALIFAX--The Assembly of First Nations has a temporary leader until the election for a new national chief is held this coming December in Winnipeg. At their annual general assembly in Halifax, Chiefs chose Ghislain Picard as the interim national chief. Picard is an AFN regional chief from Quebec who had been serving as the national spokesperson for the organization since former National Chief Shawn Atleo’s unprecedented resignation in May. Picard initially wouldn’t agree to serving as interim leader, saying he needed to discuss the decision with chiefs in his province. But on Wednesday, the meeting’s chair Harold Tarbell announced that Picard would indeed take the top post for now. Picard is the longest serving member of the AFN’s Executive Council. Picard stated earlier in the week that he was considering a run for national chief when the election is called. Tarbell said that if Picard does choose to run, he’ll need to step down when his candidacy is declared. Only two other potential candidates have come forward so far. 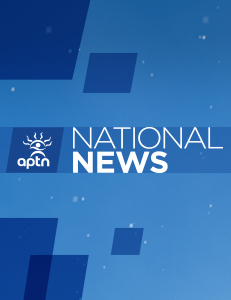 Journalist and educator Wab Kinew told APTN National News Wednesday he’s definitely considering running. Saskatchewan regional Chief Perry Bellegarde is also rumoured to be considering running. Bellegarde, who campaigned unsuccessfully in the 2009 election, was coy when asked today if he would run stating he would “announce at the appropriate time” his decision. Meetings continue tomorrow in Halifax, covering topics such as natural resource development, First Nation education and missing & murdered Indigenous women and girls.